The last post in this series took a look at some of the early jet engine designs that were underdevelopment or flown in the second world war. In this instalment lets take a look at some of the more unique designs used during the closing days of WW2 along with some iconic post war jet power plants. One of the most controversial powerplants of the conflict was the Pulse Jet, infamous for powering the V1 Flying Bomb or “Doodlebug”. The Pulse jet was cheap and simple to make with the main pipe being constructed from a simple tube of rolled steel. The design featured a spring valve, an inlet valve for fuel and an igniter. The design of the engine was so basic that it could run on any grade of fuel. Each engine only had an operational life of one hour. Ignition of such an engine was fairly simple, with one speak plug from a car used to light the fuel, while high pressure air was pushed though the spring valve opening. The engine was given the title of a “Pulse” jet as the engine would repeat a simple cycle around 50 times per second. This would see the spring valve open, followed by an injection of fuel which would then be lit. The lit fuel would then drive out the rear of the jet pipe, shutting the spring valve as it did so, before the cycle would start again. This repetitive process of pulses gave the V1 its distinctive and haunting sound. There is no question that the V1 was a truly horrendous weapon of war, but the pulse jet does have a place in the history of aero engines. The Military Aviation Museum at Virginia Beach have managed to restore a Pulse Jet to running condition and the impressive video can be seen here. 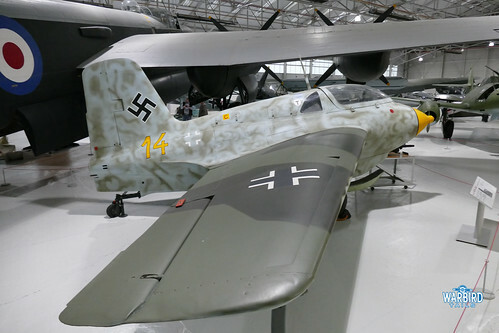 Another unique design to come from Germany was the impressive, rocket powered ME163 Komet. 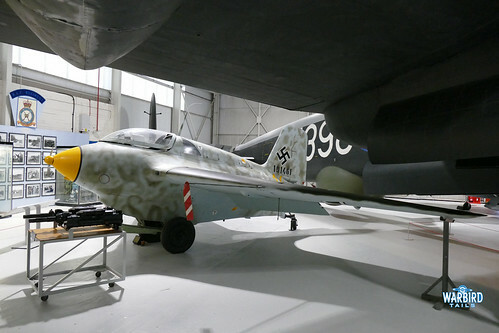 I’ve featured the story of the Komet before on this site so this post will take a more in-depth look at the engine that powered it. The Walter company had previously developed a rocket power-plant for earlier variants of ME163 but this was found to lead to control problems with the airframe as it had no throttle control. This meant that once levelled off it was only a short period of time before the aircraft would reach uncontrollable speeds. The basis of this design was the incredible reaction that occurred when the two fuels, known as C-Stoff and T-Stoff were mixed. The two fuels would instantly combust and the energy created a high temperature mix of gas that would create a huge amount of thrust when accelerated down the jet pipe. Unlike the early engine designs this model featured a pair of turbo pumps which distilled the fuel combination and allowed for four different throttle settings, making the acceleration more manageable. In practice this system led to increased fuel usage and did not prove as effective as expected. 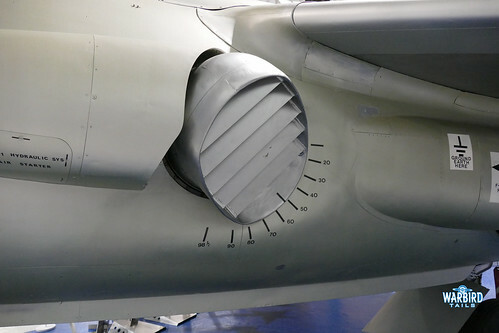 Further developments of the engine saw two separate combustion chambers installed, one of which was adjusted to provide the required cruise power. This change doubled the range of the Komet, albeit only from around 5 minutes to 8-12! Taking a jump forward now, into the post-war years and a return to British engine designs. The Avon will be a familiar name and sound to many, having first run in 1947. The design combined an axial compressor/combustion system with a turbine system. With testing completed the engine first began production in 1950, with initial aircraft making use of the unit being the Canberra and Supermarine Swift. This first example had 6,500lb of thrust. The engine was uprated to over 7,000lbs of thrust for use on types such as the Comet and Valiant. By the end of the designs development and with the help of afterburners it was capable of providing over 17,000lb of thrust in the English Electric Lightning. The Avon has, until recently been a common sight in the air all over the UK powering many popular airshow performers. The Navy Wings DH110 Sea Vixen was powered by a pair of Avon 208s, sadly following the landing accident in May 2017, the Sea Vixen is no longer flying. The most prevalent type to utilise the Avon is the Hawker Hunter, an aeroplane that has been noticeably absent for almost three years now following the types grounding in the wake of Shoreham. The grounding has now been lifted so 2018 should hopefully see the return of the Avon sound to UK airshows. By the late 1950s the jet age was well and truly underway and the concept of a jet engine powering an aeroplane was now becoming the norm. The idea of a jet aircraft that could get in and out of very small airfields, perhaps even vertically, was the challenge of the day. One key aspect of any such aircraft (ultimately the Harrier of course) would be the source of thrust. Work on the Pegasus began in the mid 1950s at the Bristol company with the original name of Orpheus. Following discussion with Hawker aircraft it was decided that the new design should make use of four vectored exhausts. The engine was first run in September 1959. 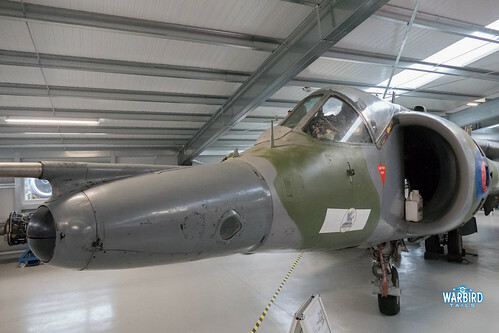 Once the airframe was a running prospect its development moved alongside the early development version of the Harrier. The Pegasus, as many of you will know made use of the four “nozzles” to create vectored thrust. This was essential to the Harrier’s ability to take off and land vertically and transition into forward flight. Of the four nozzles it is the rear pair that handle the hot air from the engine, while the front release the compressor output. While early variants struggled to produce sufficient thrust to carry out the Harrier’s party piece, the Pegasus would go on to be developed into a very capable unit and certainly earns its place in the aviation history books. With the conclusion of this post, the Aero Engines series has come to a close. Over a number of years and six posts I have taken a look at the development of aeroplane propulsion from the earliest days of the Wright brothers through to the pioneering development of the Pegasus that led to the iconic Harrier. The series ending here says nothing of the incredible further developments that have unfolded since the early 1960s but I feel those fall out of the reach of this site and its audience. It is certainly impressive to see how far things came over this 60 year period. I hope you have enjoyed this series and I look forward to working on the project that takes its place.